Council leader Pete Marland has declared that Milton Keynes Council will launch a war on litter louts and fly tippers in a bid to clean up the city. The Labour-run council will roll out a number of measures to tackle fly tipping, clean up grot-spots and hold those responsible for damaging their communities to account. Pete has promised that mobile CCTV will be used to catch more offenders, that the council will consider upping the fine for dropping litter to £150, and that MK Council will investment more in enforcement. MK Council will also be making more litter picking equipment available to local community groups, and start discussions with areas interested in a “deep clean,” for their local community. 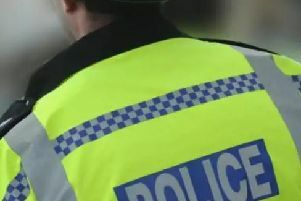 He added: “People often ask why the council isn’t doing more to pick up more litter, and that is a fair question, although the reality is with the cuts we have to make, it’s getting harder and harder to fund reactive services. “However no matter how much litter that is picked up someone has put it there in the first place, and so we want to reduce litter and fly-tipping before it is dumped. It is time we made sure if you don’t respect your community then there is a price to pay, so we want to boost our enforcement teams, use CCTV to catch more fly-tippers and look at increasing fines to people who drop litter.